*HOT* Get A FREE Box of Deluxe Samples! PINCHME’s Sample Tuesday is coming: Hurry, the new Pinchme sample box is available for selected ‘early access’ accounts! Try products from leading brands for FREE. The official release date is Tuesday, 12 PM EST. If you didn’t get early access, you can still get yours later today. 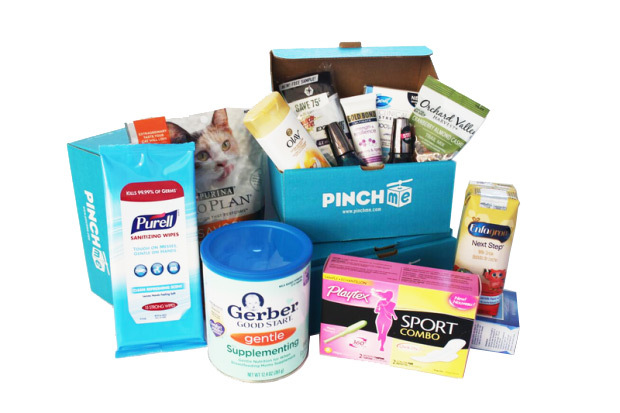 Pinchme is all about testing free products, their beauty box includes full size cosmetics and household items! How it works: Answer questions about your household and shopping habits in the Member Profile. You must complete your profile to have a better chance at being offered free samples! They’ll learn what you like and offer samples just for you. Then you can select the samples and they’ll ship your box full of samples directly to you for free! You will receive free samples every month! This month’s samples include: Moroccanoil Treatment, New Fructis Treats 1 Minute Hair Masks, Compeed® Blister Cushions, L’Oréal Paris Pure-Clay Charcoal Mask and many more! To get this free sample box, just click on the link below and then sign up on the next screen!